Hello Friends, I had an amazing weekend with my friends, but I’ll tell you guys more about that next month in my diary post. 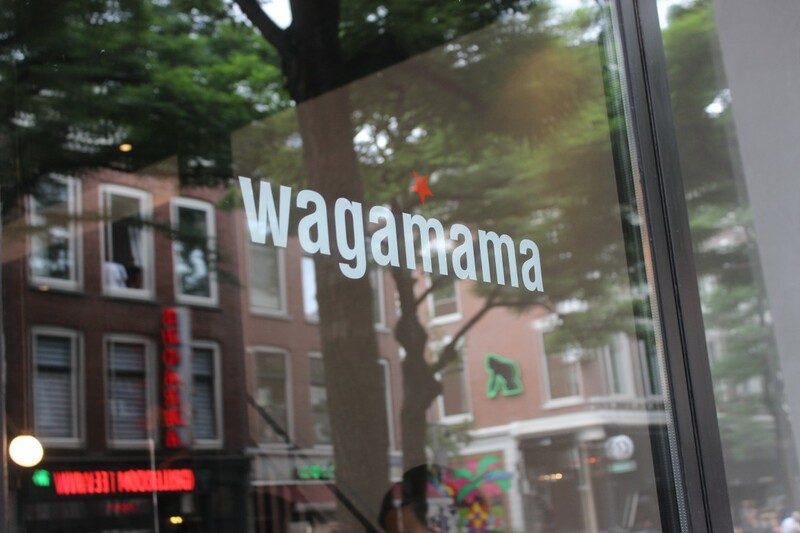 I also had dinner at Wagamama in Rotterdam. 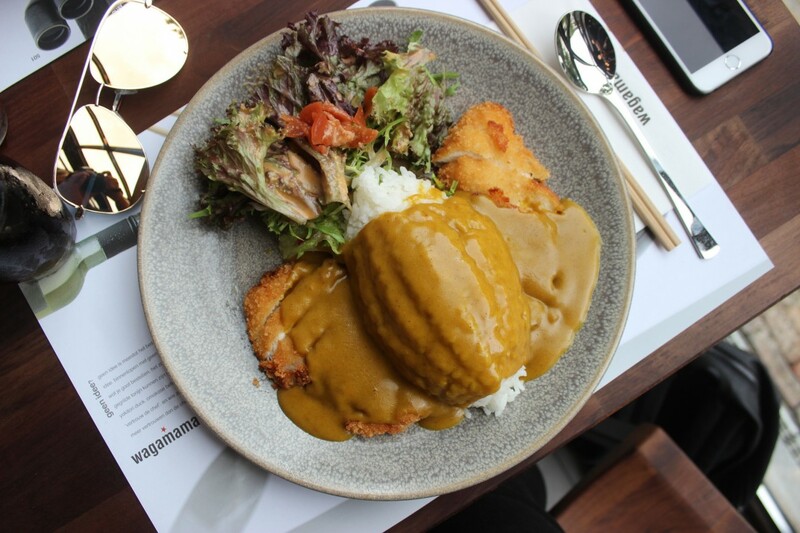 If you may know, I posted a month ago a give away on my Instagram – were my followers could win a lunch or dinner in the new Wagamama restaurant for two. It is fun to meet some of my followers. 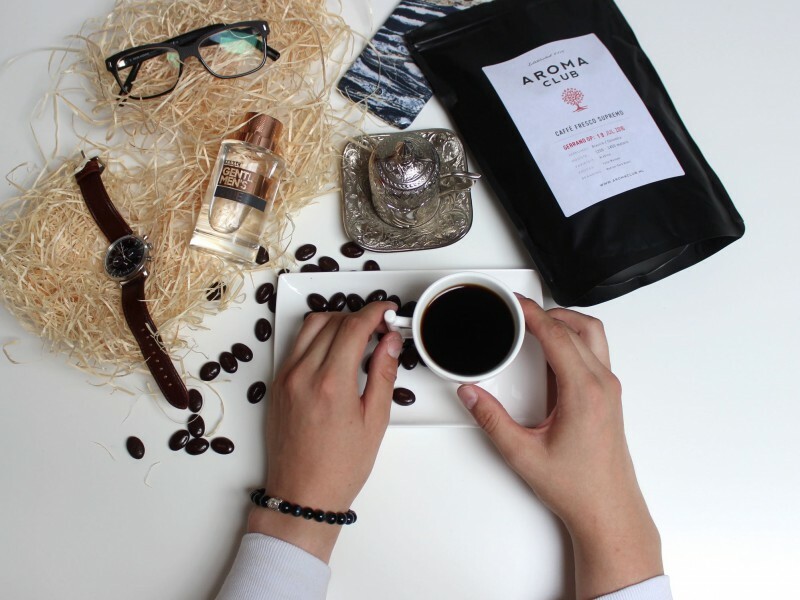 Unfortunately I could not meet everyone cause you know, busy life! In Japanese their name means ‘naughty child’, or ‘one who is wilful and determined’. 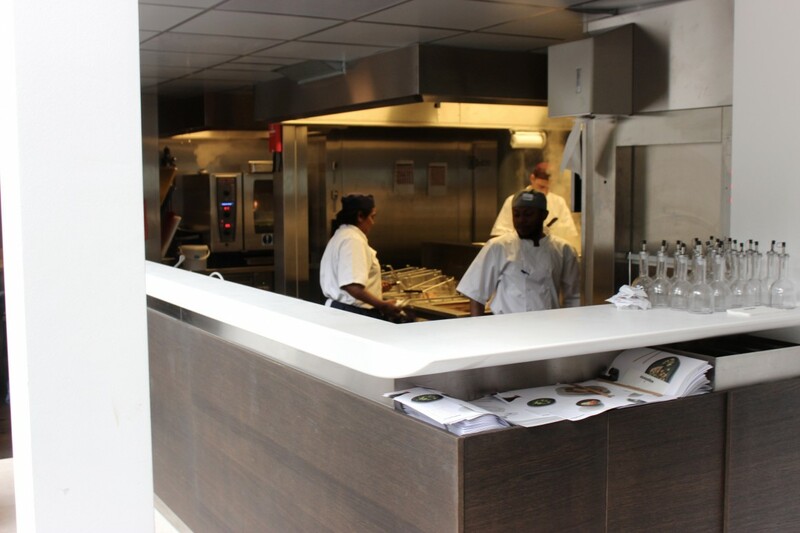 They opened their first restaurant in 1992 in London Bloomsbury. 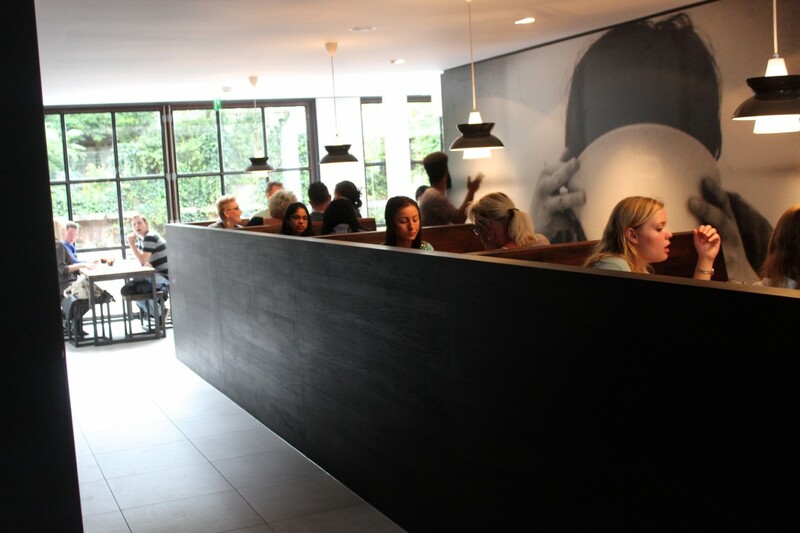 And it’s inspired by fast-paced, japanese ramen bars and a celebration of asian food, Wagamama burst into life. 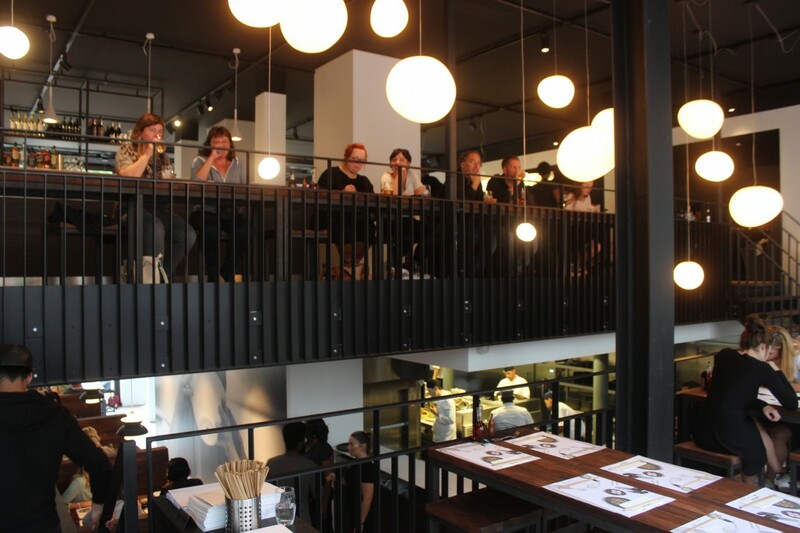 The interior is almost the same like the restaurant in Amsterdam. Dark interior pieces but this one has two floors. So the one Rotterdam is bigger then in Amsterdam. 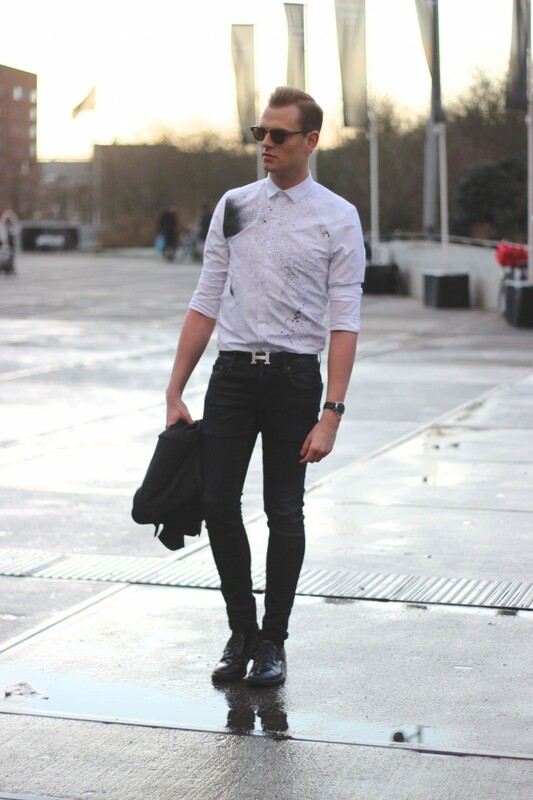 But very clean and modern. 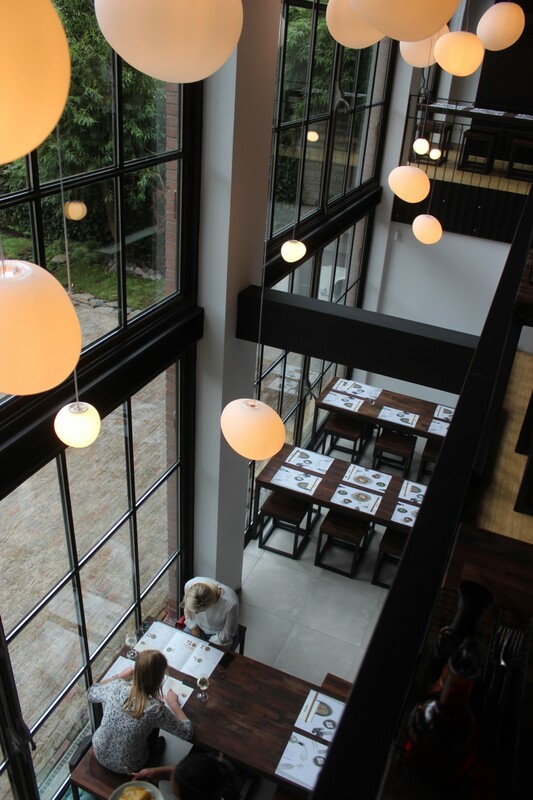 A big plus for me is that we had a table at a big window near their garden – so perfect lighting for food photos! 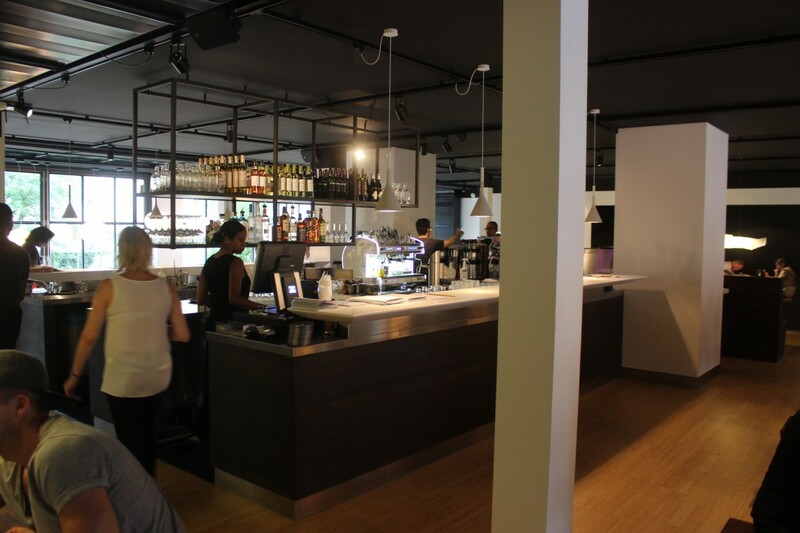 And the location is near the Markthallen in Rotterdam and almost in the city. Perfect location! Their Japanese inspired menu that has been created to soothe, nourish, sustain and inspire is really delicious. I think Japanese food is really one of my faves. They have a large menu were you can pick whatever you like. From Ramen till Curry or maybe you want a salade. Everything is possible. This time I picked out a curry. The Chicken Katsu Curry is really my favorite curry, it’s a little bit spicy. 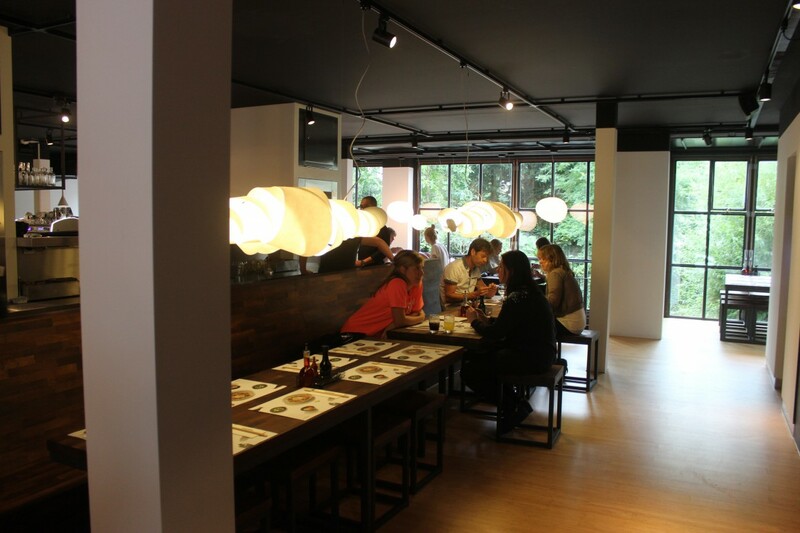 My other favorite is – which I discovered in Amsterdam is the Teriyaki Chicken Donburi, a large bowl with rice, salad, chicken and of course teriyaki sauce. Also they have some fresh juices and lovely desserts. 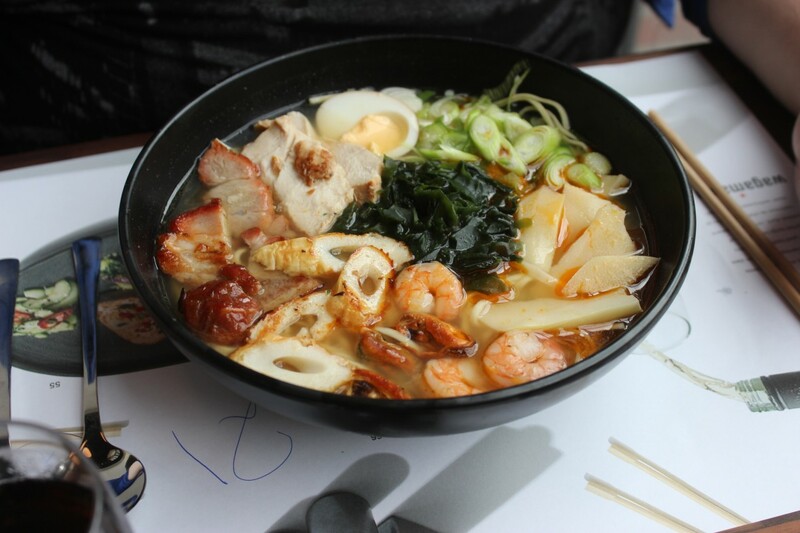 I really like Wagamama and I really can recommend their restaurant. 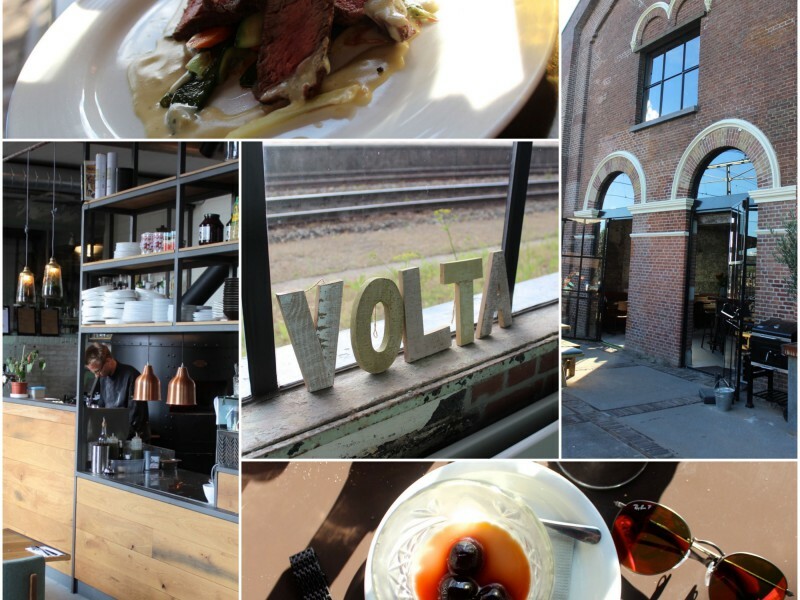 So if you are in Rotterdam or Amsterdam, take a look and try one of their delicious courses. Keep in mind you can share a table with someone you don’t know. But also that can be very interesting and maybe that leads to some very good conversations. 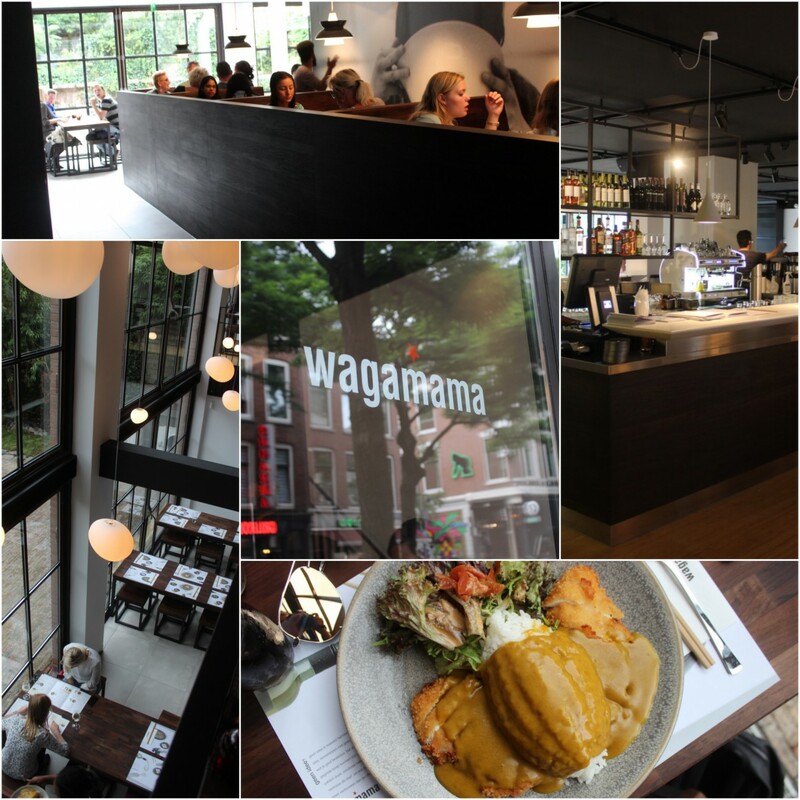 I hope you have a good impression of the new Wagamama restaurant in Rotterdam. And let me know if you tried Wagamama before or if you gonna try it out soon! Witte de Witstraat 83, Rotterdam! Hmmm ik ben normaal niet zo voor Japans eten maar dit ziet er echt super lekker uit! I love this restaurant. We go often here in Stockholm. This one looks good too!